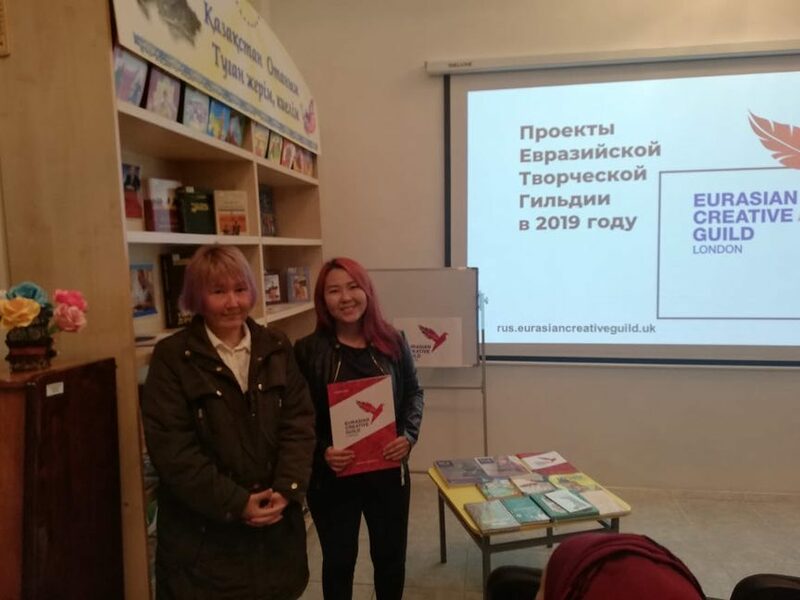 On March 29, Eurasian Creative Guild (London) held a presentation of ECG projects at Taraz State M.KH. Dulati University and meeting at the library of Mukhtar Auezov. 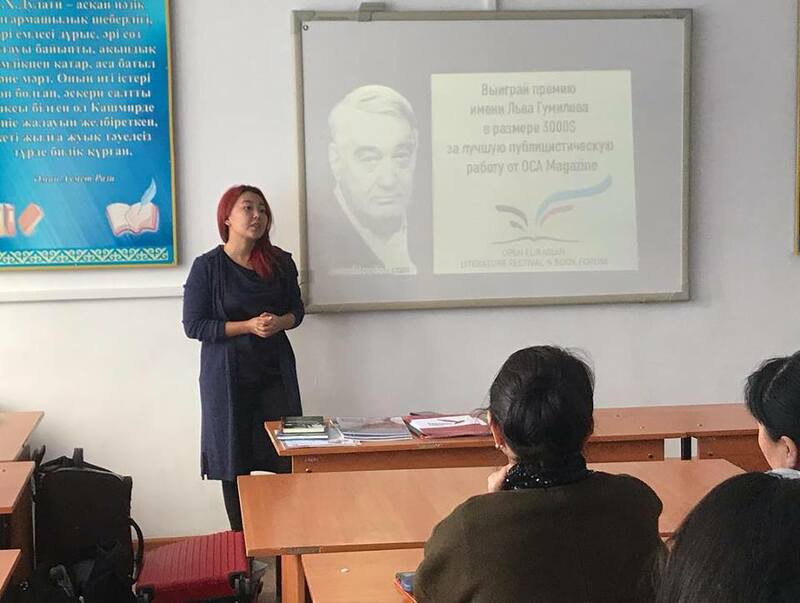 During the presentation, global administrator Ainura Berdikul introduced ECG projects to the students such as journalism competition in honor with Lev Gumilyov in the framework of the Open Eurasia 2019, the Open Eurasian Literature and Book Festival, the Literary Critic competition and the first Eurasian Film Festival in London ECG Film Festival. Students of the Journalism programme had a great interest in the involvement of ECG projects. At the end of the presentation, the university received OCA Magazine journals. 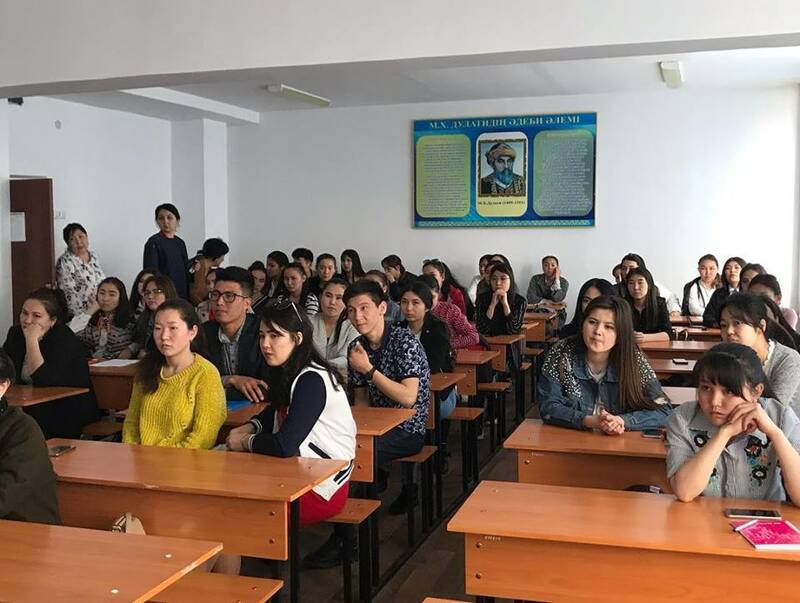 We express our deep gratitude to the students and teachers of Taraz State M.Kh. Dulat University for the interest and active participation in the presentation. And also, we thank the dean of the faculty of journalism Zhamilya Temirgaliyevna for the help in organizing meeting with the students. At 5 pm Eurasian Creative Guild meeting was held in the Mukhtar Auezov Library. At the meeting, global administrator Ainura Berdikul also told about upcoming projects and competitions in 2019. Also, there were new guests who became acquainted with the activities of the Eurasian Creative Guild. We thank Mukhtar Auezov Library for providing a place for the meeting. 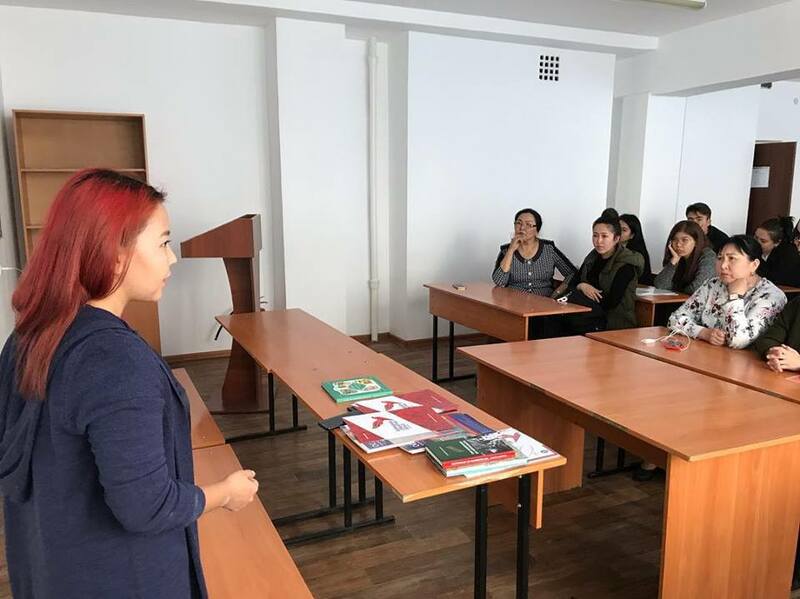 Next Eurasian Creative Guild (London) held a meeting with the presentation of ECG projects in Shymkent.